The girls had a good away game last night, but finally lost to the leading team in the standings. Deree continues in second place, fighting to secure a place in the first four and make the play-offs! 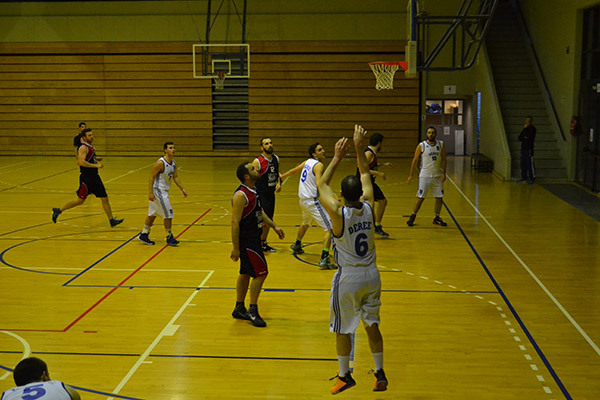 The guys played a good game last night and won 62 – 51 against NESTLE. Dimitris Elezoglou played a great game scoring 15 points and showed his strengths as a leader. John Priftis also played a great game and dominated the boards on both ends. We now sit at the 5th seat in the commercial league ranks having played 2 less games than the number 1 team. Some other key players were Fedja Djurisic and Pavle Ivkovic combining to score 32 points. Please don’t forget to come and support our team at our next game. Stay tuned for the upcoming date of the next game.